As per his saying, the Freedom of Speech and Expression is the fundamental right of every human being. Before any other type of freedom, a person wants the right to express his/her thoughts in a verbal or written manner and sometimes, via expressions. According to some studies, if a country doesn’t allow its citizens to express their thoughts, the country may never make progress in the field of Science, Politics, and Law. The Freedom of Speech and Expression is also considered as one of the essential pillars for the democratic setup of a country as it strengthens the law system of the nation. Many countrymen, still unaware of these rights, live under a deep slumber of decided opinions that weakens their thinking process. In order to eradicate this ignorance, one should know what actually Freedom of Speech and Expression means and it is essential to know the importance of having this as a right. As per some books, the Freedom of Speech is expressing a strong thought which is in a verbal and written manner. This is a statement or idea backed by logic and rationality that can’t be denied or ignored. 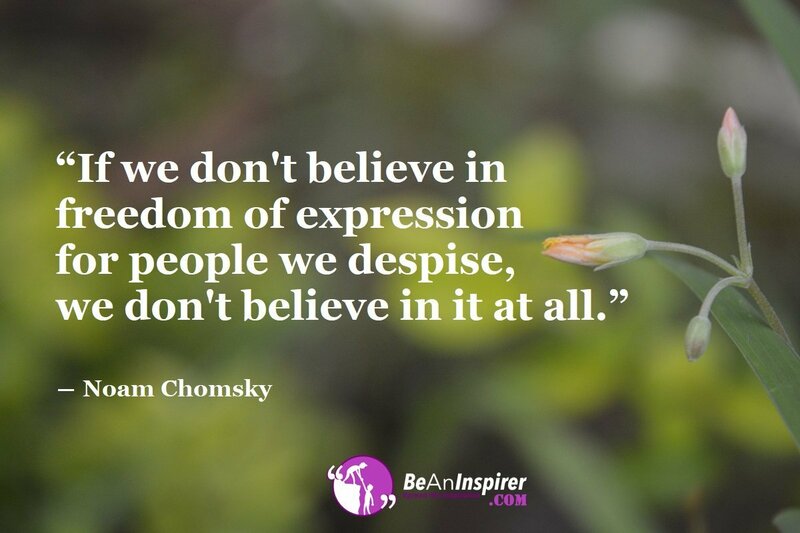 The Freedom of Expression is a bit different from the Freedom of Speech. It is the right to express a strong thought process without speech, but through expressions like paintings, novels, dramas, films or any other form of art. Unlike the Freedom of Speech, it is not based on any logic or rationality. Helps in Making A Free and Right Choice: In a democracy, the government is by the people and for the people. Therefore, every citizen must be entitled to participate in the process of making a free and right choice. Thus, the Freedom of Speech and Expression helps a person to support or oppose the formation of a government in a verbal, written or expressive manner. Essential for Progress and Development: The studies done on the topic say that if a government doesn’t allow the Freedom of Speech and Expression, the country may never grow in politics. Its law system will be weak, and there will be no meaning of democracy. Thus, this right is essential for the progress and development of a nation. Curbs Corruption and Maladministration: The Freedom of Speech and Expression is vital for a country where there is a democracy. This right to express thoughts helps in curbing the problems of corruption and maladministration within the government and helps in smoothening the process of administration. Helps in Changing the Mindset of the Society: Apart from dealing with the political and law system, this right also helps in changing the mindset of the society that is living with old and outdated practices that are harmful to us and ruins the thinking of the new generation. Therefore, the significance of the Freedom of Speech and Expression cannot be disputed. What are your thoughts on the matter? Share with us!